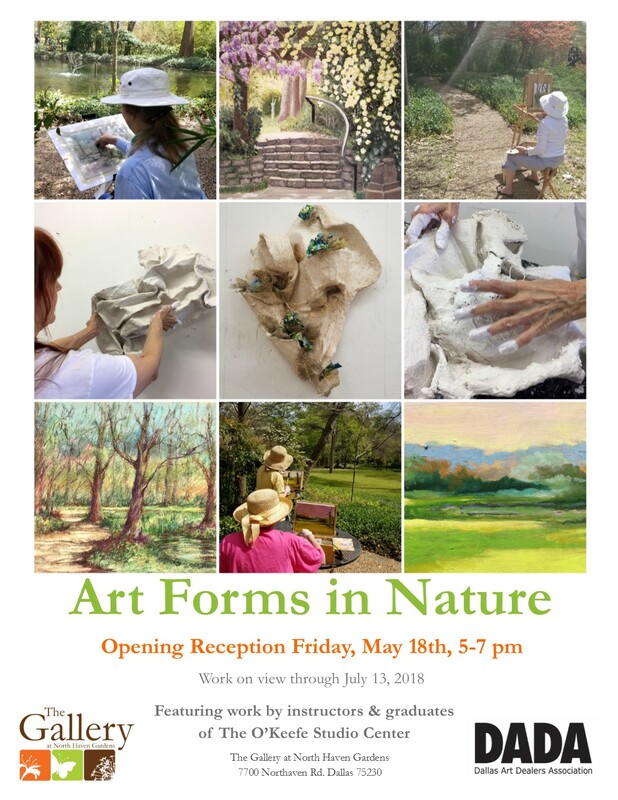 In honor of the beauty in nature’s color and form, The Gallery at North Haven Gardens presents a special exhibition in collaboration with The O’Keefe Studio Center. A partnership formed by an independent gallery & teaching space in dedication to the arts education for adults and young adults of all artistic backgrounds. ‘Art Forms in Nature’ features both literal and figurative interpretations through various perspectives of lovely local landscapes and sculptural abstraction. Paintings formed outdoors in observation of the Sculpture Garden of Valley House Gallery will be on display. Alongside contemporary plein air, will be clay and plaster sculptures -inspired by careful consideration of organic forms found in nature. The latest collection features recent creations from both students and instructors of a sculpture seminar and plein air painting workshop provided by The O’Keefe Studio Center. Artwork on display May 18 through July 13, 2018.